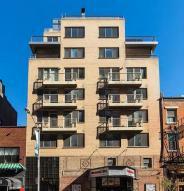 Located in the bohemian Greenwich Village, 159 Bleecker Street is one of the few post-war luxury apartment buildings in that Manhattan neighborhood. Standing at 8-stories tall, 159 Bleecker Street was constructed in 2005 and is situated right above circle on the square theatre, one of Greenwich Village’s premier independent theatres. 159 Bleecker Street features 16 condo-quality luxury apartments, all of which come with balconies that overlook downtown Manhattan. The post-war apartments in 159 Bleecker Street come fully furnished and residents are provided with lines, towels, and dishes. The spaciously designed living rooms feature hardwood floors and high ceilings; the renovated kitchens come with stainless-steel appliances; and the bathrooms boast limestone baths. Amenities at 159 Bleecker Street include a 24-hour doorman, laundry on every floor, and an adjacent parking garage. 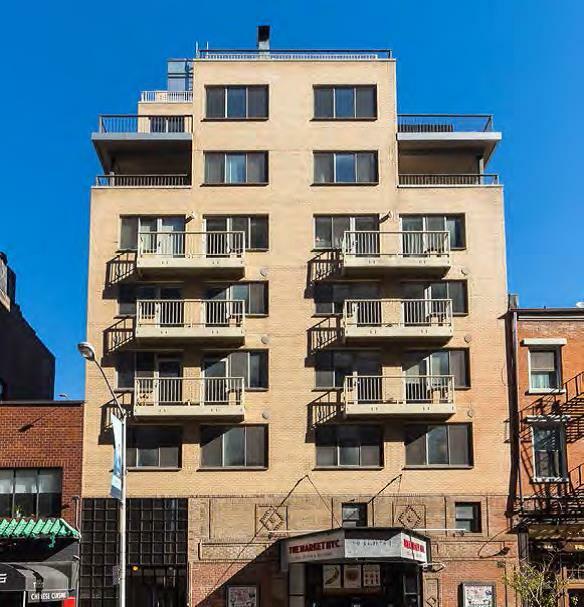 With it’s prime Greenwich Village location, 159 Bleecker Street is a rare find in the current Manhattan rental apartment listings. I would like information on apartments in 159 Bleecker Street. Please contact me ASAP.